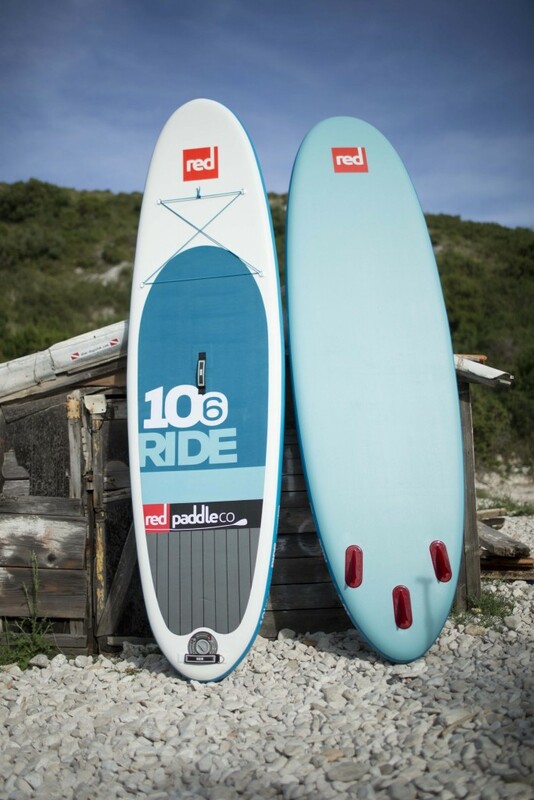 The Red Paddle 10’6 the Ride is designed to be an all-around inflatable standup paddleboard. As a result, this is a board can be used by almost any rider, for any purpose. The versatility of the Ride is what sets it apart. 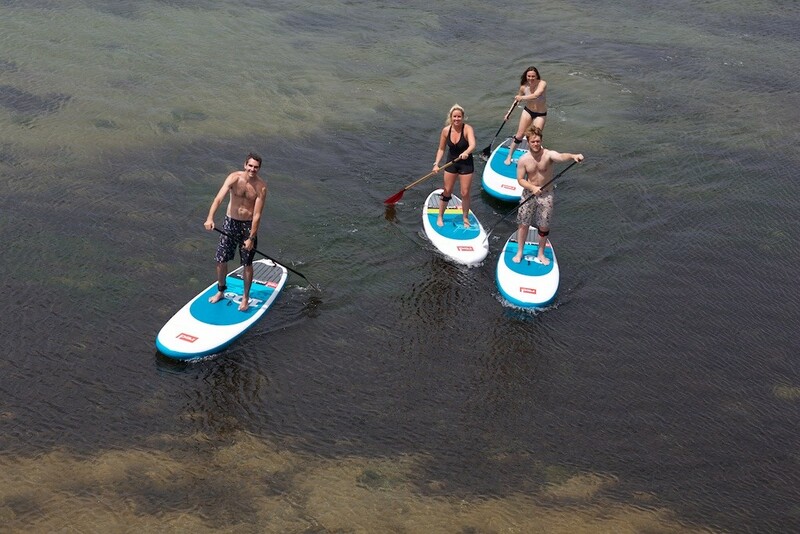 First, the Ride is designed to float and glide easily on flat water. Also, it has just the right amount of curve in the plan shape so it rides smoothly and predictably in the surf. It doesn’t matter the level of surfer. The Ride has an embossed deck pad, which offers comfort and grip. Additionally, it has a diamond cut rear section. As a result of these features, the Ride provides greater grip and stability than other boards. This is especially important when performing step back turns or during occasional use in the surf. The Ride comes with an industry leading Titan pump. 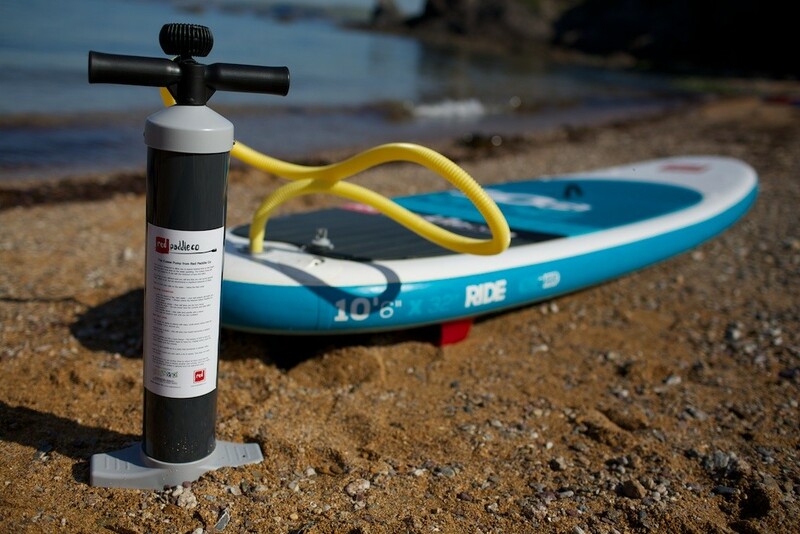 Subsequently, this pump inflates your board in half the time with half the effort then your usual pump. Additionally, it packs down neatly to fit into an all terrain backpack. As a result, transportation and storage is super simple.